You need to speak a little SQL here. The process is called a query. Queries are wonderfully flexible and horribly complicated. Entire books have been written on the subject. Here is the query to give you a list of everyone who had more than five purchases. 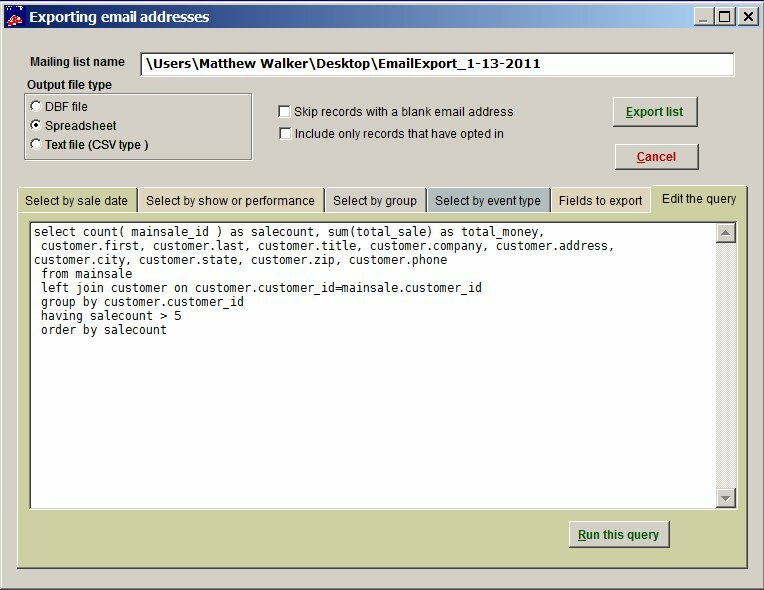 Get into this section by going to Mailing list | Generate a mailing list | Email export. Go to the Edit the query tab. Copy and past the query above into the Edit the query box and click on Run this query.